Who is not touched by this dark day in American history? On December 7, 1941, the Japanese launched a surprise attack on American facilities at Pearl Harbor ushering in WWII. The remains of battleship Arizona is the gravesite of 1,177 men who lost their lives and the remains of the ship as seen just below the observation deck. About 1.5 million people around the world visit the memorial each year. Millions of Americans have relatives who were involved in the war. This date President Franklin D. Roosevelt announced before Congress the famous words referring to this day as one, "which will live in infamy". We need to be reminded of the price paid for our freedom, the price most people do not realize. Such an event speaks the need for protection over which politics has trashed on the current political scene. Yesterday's post below addresses the importance and sanity of securing our borders. 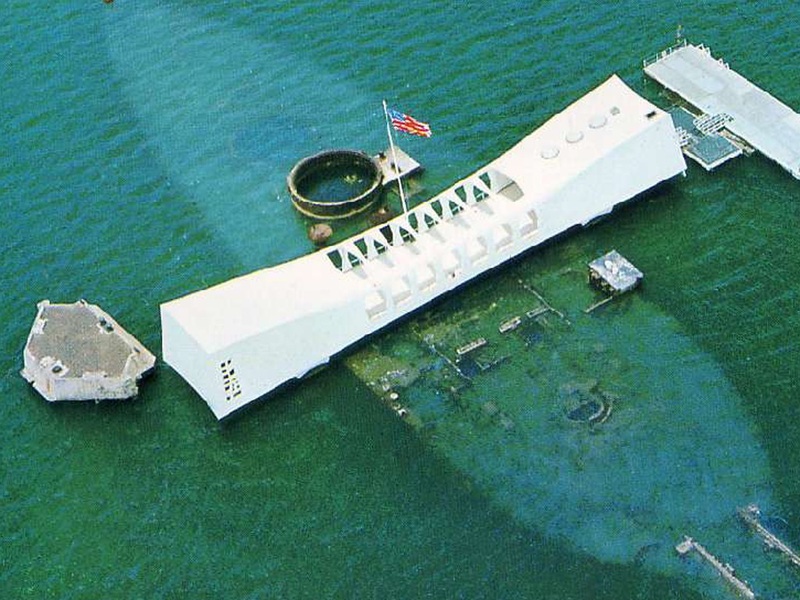 USS Arizona is one of four ships destroyed in the Pearl Harbor attack. One of fifty USMC survivors was on this ship who made a difference in many lives. Earl Nightingale, dubbed, "The Dean of Personal Development" and author of the famous recording, "The Strangest Secret", the first gold record award for self-help talk-type recording at the top of his career as a radio personality verbally recorded the event. I have a copy of the recording somewhere in my library. I wish to somehow get the recording out for the world to hear. Many thanks to our military for their effort in keeping us safe on this, the 77th anniversary of the unforgettable attack.